A 2012 End of the World? A 2012 end of the world - could we be headed for it? Is the bubble about to burst as Gerald Celente is predicting? What about a coming global currency, war with Iran and the Vatican's desire for ownership of holy sites in Jerusalem? Read about these and more in this month's newsletter. "Scholars rarely love popularizers, and nowhere is this enmity more evident than in the battle over 2012 -- a date which, depending on your view, will coincide with the end of the world, the transformation of global consciousness, the end of the Mayan calendar, the beginning of another cycle of the Mayan calendar ... or nothing at all. "He has studied the Mayan calendar (actually, calendars), and while he agrees that what's called the 'long count' calendar does end in 2012, he believes that the Maya -- were they still living by their ancient system of dates -- would not have seen it as any kind of cataclysm. The year 2012 is nothing more than the resetting of a clock, an odometer reaching zero before it starts again, he says. Freidel accuses Jenkins and other popularizers of inventing a theology to support their view that the world is in decline -- and that an external force will soon intervene to set things right." "Either unwilling or unable to call the bubble by its proper name, the media, Washington and Wall Street describe the stupendous government expenditures on rescue packages, stimulus plans, buyouts and takeovers as emergency measures needed to salvage the severely damaged economy. "The economic framework of the United States has been restructured. Federal interventionist policies have given the government equity stakes, executive powers and management control of what was once private enterprise. To finance these buyouts, rescue and stimulus packages -- instead of letting failed businesses fail and bankrupt banks and bandit brokerages go bankrupt -- trillions of dollars are being injected into the stricken economy. "Phantom dollars, printed out of thin air, backed by nothing ... and producing next to nothing ... defines the 'Bailout Bubble'. Just as with the other bubbles, so too will this one burst. But unlike Dot-com and Real Estate, when the 'Bailout Bubble' pops, neither the President nor the Federal Reserve will have the fiscal fixes or monetary policies available to inflate another. "With no more massive economic bubbles left to blow up, they'll set their sights on bigger targets. 'Given the pattern of governments to parlay egregious failures into mega-failures, the classic trend they follow, when all else fails, is to take their nation to war,' observed Celente. "Since the 'Bailout Bubble' is neither called nor recognized as a bubble, its sudden and spectacular explosion will create chaos. A panicked public will readily accept any Washington/Wall Street/Main Stream Media alibi that shifts the blame for the catastrophe away from the policy makers and onto some scapegoat. "'At this time we are not forecasting a war. 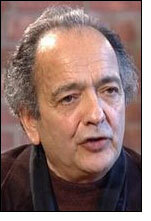 However, the trends in play are ominous,' Celente concluded. 'While we cannot pinpoint precisely when the "Bailout Bubble" will burst, we are certain it will. When it does, it should be understood that a major war could follow.'" "'A single clause in Point 19 of the communiqué issued by the G20 leaders amounts to revolution in the global financial order. "'We have agreed to support a general SDR allocation which will inject $250bn (£170bn) into the world economy and increase global liquidity,' it said. SDRs are Special Drawing Rights, a synthetic paper currency issued by the International Monetary Fund that has lain dormant for half a century. "'In effect, the G20 leaders have activated the IMF's power to create money and begin global 'quantitative easing'. In doing so, they are putting a de facto world currency into play. 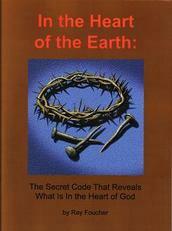 It is outside the control of any sovereign body. Conspiracy theorists will love it.'" "Tension is building between Israel and the Vatican over contested parts of Jerusalem ahead of Pope Benedict xvi's visit to the Jewish nation next week. Negotiations between Israel and the Vatican have been ongoing for the past 10 years concerning the handover of sites in Jerusalem, including parts of Mount Zion, and elsewhere in the country claimed by the Roman Catholic Church. Reports in the Catholic media imply that these negotiations are nearing their conclusion." "Israel appears to be preparing for the greatest military exercise in the history of the Jewish state, with Iran being a potential target. "The exercise is expected to take place on June 2 and will involve testing the US-Israeli developed missile defense system 'Arrow', intended to deter missile attacks. "An Israeli strike on approximately one dozen targets in Iran could come within hours of receiving orders, according to an Israeli defense official quoted in the Times. "Iran has itself not been inactive in its stance towards Israel and the US. A recent study, conducted by the Israel Intelligence Heritage and Commemoration Center (IICC) suggests that Iran may strike back with anti-American and anti-Israeli terror attacks through intelligence and terror networks in South American countries." Los Angeles-- California's third year of drought is stirring up long-standing -- and usually low-simmering -- tensions between farmers in northern and central California and urban consumers in the state's dry Southland. "The competition for scarce water was evident this week, as up to 19 million southern Californians learned they would face mandatory water restrictions for the first time in 18 years and as tens of thousands of farm workers marched through the Central Valley to protest federal and state cuts in irrigation water for the current growing season. "Though Los Angeles is recommending a cut in water use of 15 percent -- and surcharges for those who miss the mark -- the agricultural set is not placated. The cutbacks for consumers are not nearly equal to what's happening in farm fields, where growers don't expect to get any federal water deliveries at all and have had to lay off thousands of workers." So there is some recent news. I hope you found something interesting there. Remember, I am not saying there will be a 2012 end of the world, nor do I necessarily endorse the predictions of Gerald Celente. Rather, these are signs that help to point us to what may be coming soon to a planet near you. Please tell others about my newsletter. If prophecy regarding the question of when will the world end is a topic of interest to you and you would like to receive this newsletter (approximately) monthly respond using the form below and you will then receive monthly issues of this newsletter containing articles of interest and relevance to prophecy of the end of the world.